The usual blend of anything and everything, and some things that fit neither title. How many cows would it take to keep the grass in an average park short? Why did Harry Potter not try casting "Accio Golden Egg" in the TriWizard Tournament? When answering the telephone, we use Edison's preferred "Hello", but why can we all not change to Graham Bell's much cooler sounding "Ahoy"? Where did Lex Luthor get his endless supply of Kryptonite from? What were Scott Summers' (Cyclops in the X-Men) protective glasses made from? How incredibly small Earth is in perspective to other masses in this universe. What has been on your mind? Ibex mountain goats. Seriously, they are incredible beyond words. Returning to University this autumn and catching up with some dear friends. When was the last time you made a difference to someone? To the people who love us, our mere being makes a difference. Just as those whom I love, make a difference in my life whether they realise it or not. I am not sure that I could tell you when the last time I made a difference to someone was, for I would be the wrong person in that instance to ask. I could easily tell you the last time somebody made a difference to me, however not the other way around. Who are you really happy for at the moment? Anybody who has managed to achieve something they set their heart out in doing. When was the last time you felt inspired? You can find inspiration in anything, and if not, please look again. I do not believe that inspiration is a concept which one may always be able to readily place. It belies the passing of time, for it is something that can grow naturally from a single thought to a blossoming tree of ideas, or it can strike across the landscape of your mind like a flash of lightning, briefly illuminating all in an amazing brilliance. Yet one does not always recognise inspiration, for it can come from the deepest recesses of our subconscious, sprouting out in an instant, like water drawn up from the depths of the earth to surface through a humble mountain spring. I try not to look for inspiration, but let it come to me. Look for the beauty in all things, and you will be inspired more than you could possibly express. If you could be in your dream place at the moment, what would you be doing? I have two dream places where my mind retires to when I feel the need, although I dare not utter them aloud to others, lest by giving the fantasy a form in words, those same words disappear in front of my mouth like smoke in the wind. However, I would be lying on the grass next to a person that I loved very much. It would be a late summer's evening, where the weather would be warm and cosy, yet fresh enough for the need to wear a thin cashmere sweater. The scent of grass would mingle with the aroma of wood smoke and the sweet fragrance of autumnal flora. A beautifully vivid sunset would give way to night, and the sky would be lit up by a million bright stars. We would watch the stars go by and think of nothing but beauty. If somebody was to describe your personality, what would they say? I am not sure how others would describe my personality, for we can never be truly aware of how we come across, rather only how we meant to. I would like to think that they would say I was friendly and kind. And if they happened to laugh at my little jokes, perhaps even funny. My progress healthwise these past few months, which has taken an incredible amount of effort but for which the results are worth far more. As well as a learnt ability to be positive regardless of a given situation. What has been tempting you lately? Buying a number of the stunning vintage print books in my local charity store. It is not simply the literature contained therein, but the feel and experience of such old and thoughtfully made books and words. I am always surprised by the beauty of things that may find their way into second hand and charity shops. What do you love about people? What do you love about [insert name]? I love the way that thinking of [insert name] makes me smile. Your dream place sounds lovely. I love what you said about finding inspiration everywhere. Every post is a masterpiece! Totally agree abou inspiration! Awwe, darling, I am so glad that your health continues to improve! And I think that our dream places overlap - it sounds absolutely perfect, and while I was filling out this same survey (which I have yet to post) I described a very similar place! I do hope you enjoy your weekend, my dear, and that the weather is beautiful (and that you're feeling well!). I enjoyed reading your q&a. I love books especially old books where people have scribbled notes on. such good things you can inspire us with..with just those questions..thank you. hmmmm..I suddenly have been obessed with Ken'chi Mayostu (something like that) ever since watching in him in L in the live action Death Note movies..so naturally, I'd have to think of him in a story..I'm not sure if that good or bad, but naturally, he inspired me..and I found a picture of him that makes him much more josph gordon levitts than just mr.emo darko other wise hunch back L.
Sorry, just had to let you know. I so loved that about the goats! & of course "smiling" always makes everything more wonderful. I'm glad you're going to get back to the uni. cool pics of the planets too. Those were some really good Q & A. All the best to a sweet weekend. holy moly, way to put things in perspective! earth is tiny! I really liked this: You can find inspiration in anything, and if not, please look again. Maybe he wasn't allowed to say accio golden egg? fishy. Oh god whenever my Dad answers the phone he says something really weird, he may be slightly mad. This is probably why I never call him. And to you, a lovely weekend as well!! 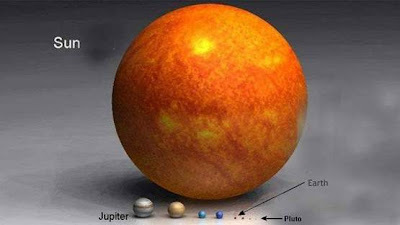 I've always thought it's interesting how small and insignificant our planet is compared to other celestial bodies. It's fascinating, isn't it? Inspiration has been nearly nonexistent as far as I'm concerned lately. I'm not sure why. I just feel so...blah? When I do have something to say it's usually this one giant thing to say that is eating at me. Once I get it out I just keep adding onto it until it's basically this monstrous essay of a thing that swallows my eyes and mind up whole when I read it. Then I am done and I have to wait for a while. However, I love what you said about inspiration. You always, always, always have the most beautiful views of the most simple of things. I hope you are having a beautiful weekend, love! I love your answers, especially the first one with many questions. I've always wondered about Harry and the egg myself. I love your answers and the pictures you chose! 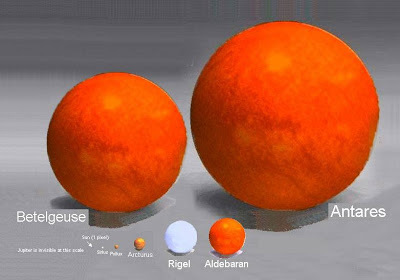 Oh, I didn't know that the sun was so small compared to the other stars! The universe is so interesting! the hello/ahoy thing made me laugh! 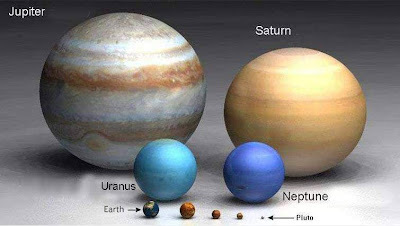 Those planet comparisons are really interesting. I love those photos of yours, they are so clear. I'm going back to uni in september too...I'm quite excited/nervous about it all! you are such a beautiful person, i hope to be as serene and peaceful as you one day. and yah!!! that you are able to return back to school! I'm just like you with old books... They fascinate me. I own quite a few but unfortunately, they're back at home as I don't really see the point to bring too many books oversea as I'll have to take them back once I move back! Very interesting to read that tag and to learn more about you. The brownies turned out good! It was good fun cooking them... despite I'm not a fan of brownies. Though, I don't know if it's the fact I cooked them the vegan way, but it tasted a lot better than regular ones! Great post! 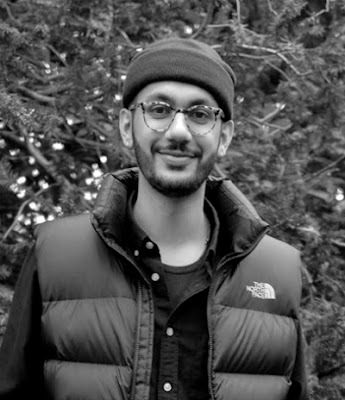 I always love learning about the blogger behind awesome blogs just like yours! Love the last answer too, it made me go 'awwww'. so excited to see you back at school!! I love reading these question and answer posts you do. You are a very inspiring person. You clearly have a firm grasp on life, what you want and what makes you happy! I really enjoyed reading this. It's always interesting to find out more about what's on your mind. I hope you had a great weekend. Cheers! Thanks for the new insights into your personality----I love reading about them! You are a true romantic! I absolutely adore your description of your dream place. So perfect. Please be sure and stop by & leave me a note! ANd I would love to exchange links. I like what you said on inspiration. I agree with you. Also, Im going to start answering the phone "Ahoy!". Haha it will be interesting to see what kind of responses I get. DK, loved this Q&A!! Always enjoy reading your responses because I know they're super thoughtful. This was no different. Hope you have a lovely week! i love the mountain goats! I loved reading all of these, but the first response really tickled my fancy!